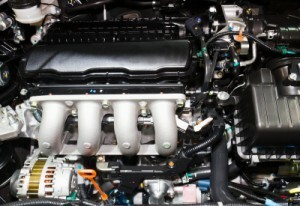 Come to us for your engine install! It’s one thing to change oil, replace brake pads and give your car a tune up. But, it’s a totally different ball game when it’s time to install your new engine. It’s not a minor, inexpensive repair. Rather, it is an investment into the longevity of your vehicle. Just because someone has a wrench and a bit of grease under his nails, doesn’t mean you should trust him with your engine install job. Whether it’s for your family car, or your entire fleet, B&M Auto Specialists are trained and experienced, making us fully capable to install your new engine. Located in Mansfield, we’ve worked hard to earn the trust and esteem of our many clients throughout Tarrant County. Satisfied and loyal, they keep coming back to B&M Auto Specialists for their auto repair needs, including the more involved engine install. Twenty-four hours. Seven days a week. Thousands upon thousands of vehicles are on Tarrant County roads. Every driver wants to have a trusted mechanic and repair shop. We know that same feeling. We’ve all been there. That’s why we make it our mission to provide each person who comes into our shop with elite customer service and professional courtesy. This is the level of personal investment and pursuit of excellence we require of ourselves. With our team of ASE certified mechanics and 5 service bays, we’ll have you back on those Tarrant County roads as quick as we safely can. Wherever you work or live in Tarrant County, we hope you’ll consider B&M Auto Specialists for all your automotive needs. If it’s time for an oil change, tune up or engine install, just give us a call. We’ll be glad to schedule your appointment.